JM: The Travel Time category is one of the more romantic yet functional categories in the GPHG. Multiple time zone watches allow for quick understanding of what the time is not only where you are located, but also where someone else is: be it a loved one, your boss, or even your favorite sports team. World timers, dual time zone watches, and GMTs come in a variety of shapes and designs, and so of course some are more successful than others. I feel that three stand out as the most accomplished at this task among those shortlisted, but as always it will be interesting to see what the jury has to say. IS: At first glance, the Travel Time category looks relatively uncontroversial this year, but it does contain a few surprises. We do indeed live in interesting times. MG: Watches displaying a second time zone are among my personal favorites, and I am always quite excited about this category. Of all the complications, this is to me the most functional as well, Joshua. And I have seen that there are thee most diverse solutions on how to display a second time zone among these entries! RS: I love this category; it’s like slipping into a pair of shoes that have become second skin. Time zone complications are among my very favorites. There is always someone in another zone that I need to track. And now and again I myself am that guy. Telling the time in another location can be done simply, by way of an extra hour hand. Or more elaborately by using city disks and separate dials down to 15-minute adjustments. Or with entirely separate movements or gear trains that allow for single-minute adjustments. This is the other reason I love the category: it affords a huge variety in the way a travel time watch looks, and the pre-selection this year is a perfect illustration of this. MG: I actually very much like the Big Bang UNICO GMT; it is, like so many Hublot models, a good concept that is well executed, both technically as aesthetically. It’s bold, easy to read, and has lots of character. It is also one of the few watches that I think looks good in carbon fiber. It is, however, completely opposite in scope from the Frédérique Constant, and I like my GMT watches versatile. This watch would be great for an extended cruise through southeast Asia, for example, as long as the suits stay home. IS: I think that Hublot has a winner in the Big Bang Unico GMT; a commercial winner at least, and even taking this category would not surprise me as Hublot has ticked many of the boxes the jury is likely to be looking for in the Travel Time category: it is a highly legible GMT with quickset forward/backward hour pushers in a good-looking package. I’m not picking it here, though, as I’d like to see more innovation. However, while Hublot did not invent quickset GMT hour adjusters it did make a nice example here. For more information see www.gphg.org/horlogerie/en/watches/big-bang-unico-gmt and/or www.hublot.com/en/collection/big-bang/big-bang-unico-gmt-titanium-45. MG: This is a very impressive watch, yet somehow I expected the brown to look better. It doesn’t make the watch pop as much as the other color variations. To me, but this is very personal, it also looks too classic to be a true travel watch. When I travel I usually have to dress both up and down at different moments. Therefore, I prefer a travel watch that can look good in either configuration, and this would not be my watch of choice to dress down in. IS: When it comes to value for money, Frédérique Constant offers excellent bang for buck. And the Classic Worldtimer Manufacture is no exception: hours, minutes, seconds, date, and easy-to-use global time for 3,518 Swiss francs. But this brown variation just doesn’t work for me. For more information see www.gphg.org/horlogerie/en/watches/classic-worldtimer-manufacture and/or www.frederiqueconstant.com/watch-finder/manufacture/classic-worldtimer-manufacture. JM: The Parmigiani Fleurier Toric Hémisphères Rétrograde turns out to be a rather useful timepiece with two full-time displays including two day/night indicators, a retrograde date, and the ability to set each time display separately to the minute – a less used but crucial travel feature. Given that some time zones are offset by 15 or 30 minutes, the ability to set the minutes individually greatly increases functionality for a multiple time zone watch. The date feature and day/night indicators are a great help, but in the end the design and layout of the presented information, while cool, didn’t quite live up to the readability of my top two choices. Since this is highly a functional timepiece, legibility is a very important factor. MG: How can a watch that should impress you be visually so unsatisfying, especially when it is a Parmigiani? The crowns are placed too close together, and the dial is too empty in some places and too cluttered in others (for which I blame the retrograde date). Not even the beautiful Toric case can save this watch! IS: Joshua and Martin have said it all for me on the Parmigiani Fleurier Toric Hémisphères Rétrograde. It has everything going for it, well nearly everything: a potentially useful second time zone for the frequent traveler (a large demographic in this category) that can be set to the minute, and each time zone has its own day/night indicator; great pedigree; and a beautiful movement. But its face is one only the baby’s mother could love: that day/night indicator at 2 o’clock on the dial just spoils the look too much for me. RS: I recently held a Toric Chronomètre; these are very interesting watches with a clean look but with accents that stand them out from other Parmigiani models. I like the thin spear hands and the track of coin-edging on the bezel. The Chronomètre is handsome, but I feel the numerals are a fraction small and, as a consequence, it feels like there is a little too much distance from the cannon pinion to the chapter ring. The Hémisphères model fills the dial with a well-balanced dual time display. Dual times with independent minutes are actually quite rare, but they appear to be like buses, with two rolling in together this year! I particularly like the arcing register for the retrograde date, which reveals that the cannon pinion is not actually concentric to the main dial, but instead slightly offset. This presents a small issue in that the minute hand appears insufficient in length when indicating the northern hemisphere of the dial. A small drawback, and one that makes it easier for me to place this as my second pick. 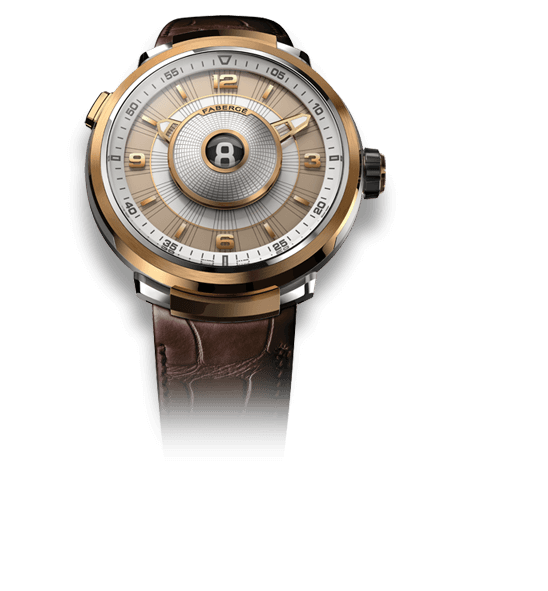 GG: I’m so happy to see the Toric case return to a prominent role in the Parmigiani line as it was one of the things that made me fall in love with the brand in the first place over a decade ago. The remaining elements of this implementation of the brand’s Hemispheres travel time watch are coherent with the classic look of the case, critical information (times, day/night for both time zones, and a flyback calendar) clearly and calmly shown. I wouldn’t have much use personally for the ability of the Hemispheres to show the second time zone with a different minute position than the home time, but it’s nice to know that it’s there. And at 29,500 CHF in pink gold, this is a watch that I suspect will do well for Parmigiani. It is my number three pick here. For more information see www.gphg.org/horlogerie/en/watches/toric-hemispheres-retrograde and/or www.parmigiani.com/en/watch/toric/toric-hemispheres-retrograde. MG: When I tried this watch on at Baselworld 2017, I instantly knew that Manufacture Royale had nailed it! The brand kept the design very minimal, which is a challenge because especially then the impact of each and every element carries far more weight. The watch is exceptionally easy to read, and I love the jumping hours of the main time zone. 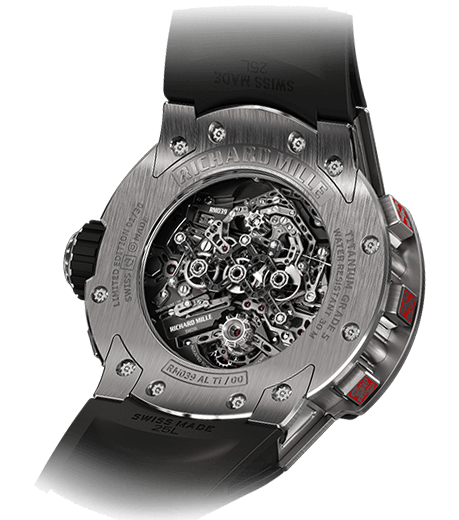 I also think that there is great harmony between the skeletonized movement and the case. Although oversized, I always find watches by Manufacture Royale surprisingly comfortable to wear. This is the perfect timepiece for the dandy who wants to go around the world in 80 days, and it is my winner in this category. IS: I also thought that Manufacture Royale nailed it with the ADN Jumping Disk. And with its skeletonized movement featuring a second time tone, jumping hours, and a tourbillon thrown in for good measure, this watch meets all of the Travel Time category requirements and then some. It’s my number two pick though, as I think that the jury is likely to go for something more conservative looking, that and smaller than a 46-millimeter diameter. GG: While I like the clean, industrial look of the Manufacture Royale ADN Jumping Disk enough to give it my number two vote, at the end of the day I landed on the side of the Czapek’s more traditional design. JM: A simple, clean, skeletonesque watch with independently settable time zones, jumping hour for the local time, and a very nice tourbillon make this watch stand out to me. Granted, I have a soft spot for jump hour mechanisms (because they are the coolest, of course), but this watch provides a no-nonsense approach to the travel time watch while adding serious flair in the implementation (movement) and function. The necessity of independently adjustable minutes is pretty much a must for any extensive traveler, and the incredibleness of the movement provides hours of entertainment for the horological aficionado. The only downside, as this is a versatile travel watch, is the choice of the Androgyne case over that of the brand’s 1770 case style. Of course, Manufacture Royale isn’t a stranger to making a statement, and I’m guessing neither are its customers, so this choice isn’t too odd. If there were to be a complaint from the jury, I might guess that it’s too wild or something to that effect, but in my eyes this only adds to the uniqueness and the story. RS: I’ll start with what I don’t like. In fact it’s not really a matter of “like,” but an aesthetic that I haven’t yet developed a palette for: those lugs! I must be something of a traditionalist when it comes to lugs. I’m happy for them to be articulated but I don’t want them vying for my attention. I do think it fits the steampunk brief, but I’m not fully ready to board the steam train. That said, what a movement! Beautiful! The negative space, the flying tourbillon cushioned by ceramic ball bearings, the jumping disk that cleverly and simply reveals the hour numeral. I particularly like that despite the two times having independent minutes, they can be set simply via the single crown. It’s my third pick from a very healthy selection this year. For more information see www.gphg.org/horlogerie/en/watches/adn-jumping-disk. MG: How could Louis Vuitton make the Escale Time Zone even better? By making it blue, of course! While I love the previous edition, it sported more colors than carnavale in Rio de Janeiro. And as a big fan for blue dials, this is perfect. The globe in the center provides the watch with a slight vintage feel, almost as if you were a member of the Tracy family and you want to check the time so you don’t accidentally call Lady Penelope while she’s enjoying her beauty sleep (a Thunderbirds reference in case you didn’t catch it). This watch comes in second place for me in this category because for the win you need to be able to read the time at a glance, and this Louis Vuitton still gives you sensory overload, especially if you have jetlag. IS: I’m with you 100 percent, Martin, I loved the splash of colors of the Louis Vuitton Escale Time Zone, but this Time Zone Blue is even better. In fact I would not be at all surprised if the jury chose this watch due to its striking looks and practicality as a travel time watch. However it doesn’t get my vote here because I’m looking for something further from what I’ve seen before. RS: I really like this watch, too, and I have since it came out in 2015. This year’s dial change is welcome, it hits the blue dial zeitgeist, but it’s just a new dial. I vote for novelty in these categories like you, Ian, and I expect the jury to as well! For more information see www.gphg.org/horlogerie/en/watches/escale-time-zone-blue and/or www.eu.louisvuitton.com/eng/products/escale-time-zone-blue-41. You might also enjoy Heraldry, Coats Of Arms, And The Louis Vuitton Escale Worldtime. JM: In second place I choose the Czapek Genève Tourbillon Suspendu Ici et Ailleurs due to its beauty, symmetry, and legibility. The movement and mechanism design are superb without being too complicated and overpowering. The now-classic Czapek fleur de lys hands and thin Roman numerals help to keep the timepiece looking classy and ready for a formal situation, while the unique layout and design allows it to also be a standout piece of horology. The screwed plates, mirrored bridges, and dual fonts between the local time and home time subdials are what jets this watch squarely into the avant-garde category. If it only had a full second time zone instead of just indicating the hour, it may have taken the top spot. But as it is, it just begs for another independent minute counter to round out the package, and for that reason it remains as my second choice. RS: This is hands down my favorite too, Joshua. I love the overall package that this brand produces: old-world dials and hands but with certain finishing techniques and subtle accents that convey a contemporary aesthetic. Like the look or not, it’s clear that these are good watches. This one in particular might be my favorite Czapek to date. This is a more standard, coupled-minute dual timer, but it’s the balance of the dial and the combination of other complications that wins for me. The tourbillon and reference time balance each other off, and the main dial, day/night, and power reserve indicators run the line of symmetry. It is a beautiful watch that delivers on the brief for the category, but also as a lasting design. MG: I understand why Czapek introduced a tourbillon, but I strongly prefer these watches without one. The whole design is to me a departure of the refined beauty of the brand’s previous collections. My real issue with this watch, however, is that its dial gives it a rather technical look that doesn’t seem to fit the brand. I would rather have seen the carbon vinyl-like dial like from the Quai des Bergues No. 27 or that beautiful anthracite gray from the No. 21 completely covering the dial, with cutouts for the tourbillon and the second time zone and matching hands. To me, that would have made the watch far more pleasing than it is now. GG: I suppose that I was a bit of two minds as I considered this year’s finalists as they are divided between pieces that one might consider to be “usable” travel watches and those that are perhaps more technical show pieces. At the end of the day, I resisted the urge to dismiss the latter set as impractical, which left me with two watches at the top of my list: the Manufacture Royale and the Czapek. And I selected the latter as my predicted winner. Each watch features a flying tourbillon along with the displays of the two time zones, and each provides some extra flavor; the Manufacture Royale in in the form of a jumping indication for the hours, while the Czapek incorporates a power reserve and day/night indication. IS: I’m also picking the Czapek Genève Tourbillon Suspendu Ici et Ailleurs as the winner in this category. I like the new, clean, technical look, and the second time zone with a quick-set hour pusher is very practical in a travel watch as is the day/night indicator. I think that Czapek will be on the podium thanks to the Tourbillon Suspendu Ici et Ailleurs. For more information see gphg.org/horlogerie/en/watches/tourbillon-suspendu-ici-et-ailleurs and/or czapek.com/press-room-private/collections/place-vendome/place-vendome-tourbillon-suspendu-ici-et-ailleurs-platinum. To me, a GPHG Travel Time watch should be a little more than a GMT function. In essence, a world timer, of which I see two (why no Greubel Forsey GMT/Worldtimer? However, the Louis Vuitton, though up to the standards, is just not a very elegant watch, to me. In that case, I think the Frederique Constant provides the same function, an in-house movement, and an elegant look. Would I have preferred the use of pure gold or steel, yes, but I don’t think that will stop FC from getting the win,…possibly!